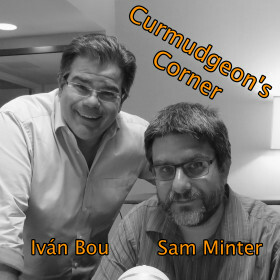 On this week’s Curmudgeon’s Corner, Sam and Ivan talk about the scandals with the various Trump-related doctors. More on Dr. Jackson. Some on Dr. Bornstein. And even a little on Dr. Pena. Then it is time for Rudy! Not quite Rudy all the time, but Rudy Giuliani did make quite a mess this week, and we talk about it. Finally, a bit about Judge Ellis’ comments about the Mueller investigation, the efforts to impeach Rosenstein, and would it be wise for the Democrats to impeach Trump if they get the chance? To round things out, a bit on Cinco de Mayo and Wiki of the Day. Busy show! Enjoy!